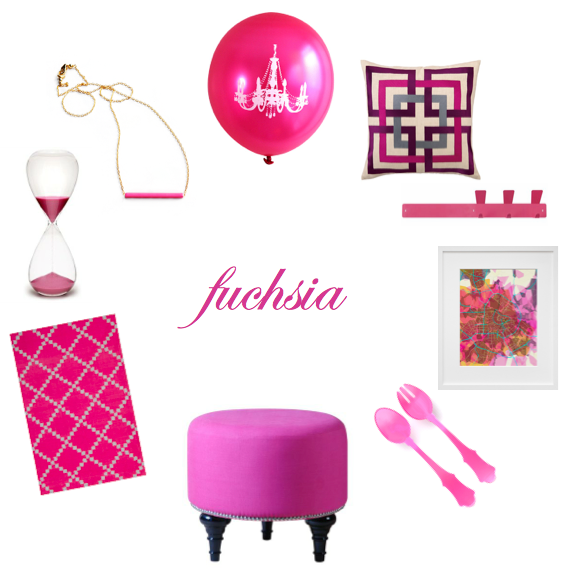 Today’s hue was up for grabs to JGB Interiors’ Facebook fans, and though it took a few requests to identify a color that I haven’t yet covered, we’ve arrived at a great one: fuchsia. There isn’t much more to say except: enjoy the picks! I’m especially loving the “chandelier” balloons this week! ← Find of the Week: Stained Glass!